Hi guys! A couple of months ago, I won one of the prizes in a giveaway from The Jedi Wife, and it was a gift certificate from Ella Ann Cosmetics. 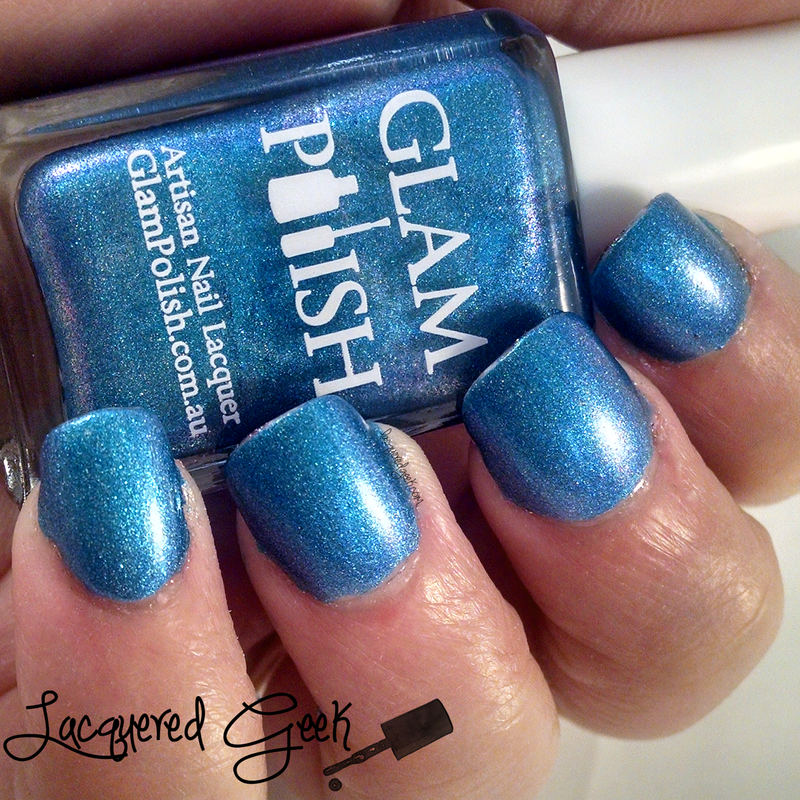 Since Ella Ann Cosmetics is a stockist of Glam Polish, I knew that I was going to use the gift certificate to pick up a few of their polishes! I'd been drooling over swatches on Instagram for long enough! 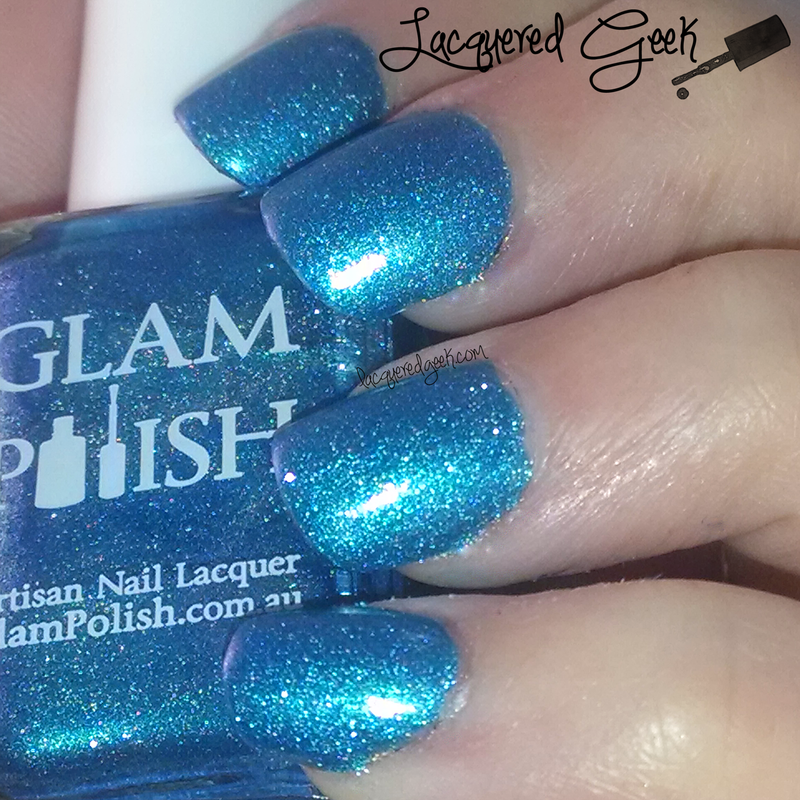 One of the polishes that I picked up was "Into the Deep" from Welcome to Storybrooke Collection. Once Upon A Time is a favorite show of mine, so this was such a win! 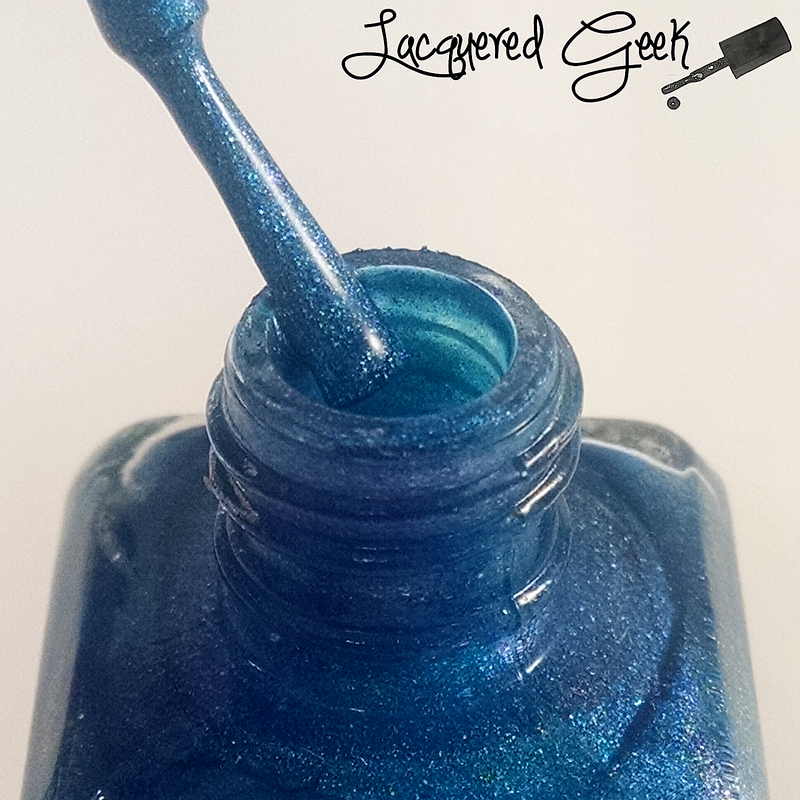 Into the Deep is medium ocean blue with hints of lavender and green shimmer. The holo in it is fairly subtle, but it's still quite stunning! The formula was absolute perfection. Utter perfection! I only needed one coat with a top coat for these photos. Here's a photo of the holo with a flash. I was extremely impressed by the quality of this polish. 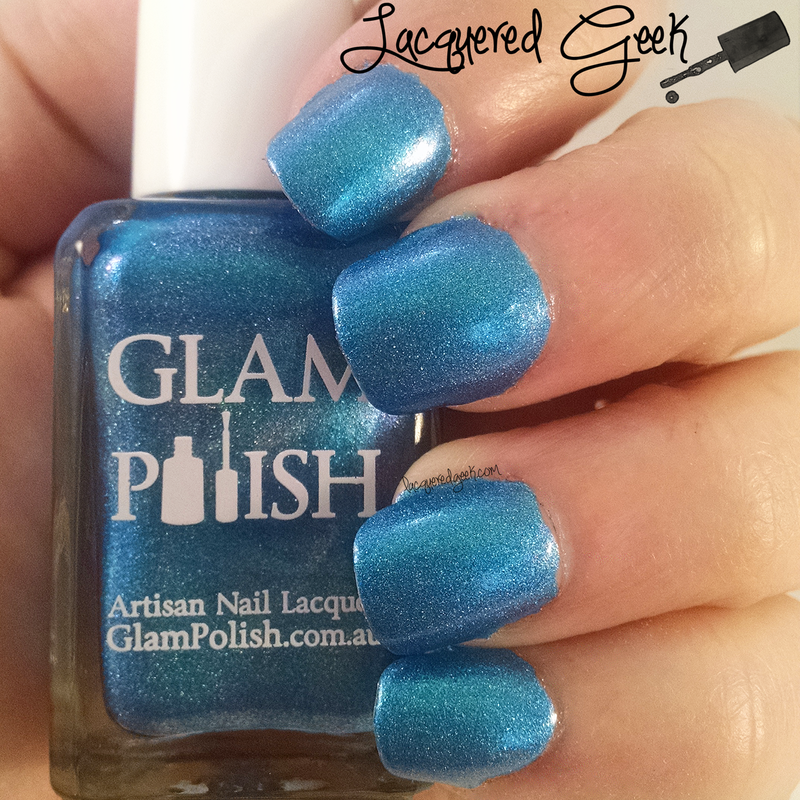 So much so that I immediately went and ordered several more Glam Polishes that I had been lusting over! I can't wait to share those with you! 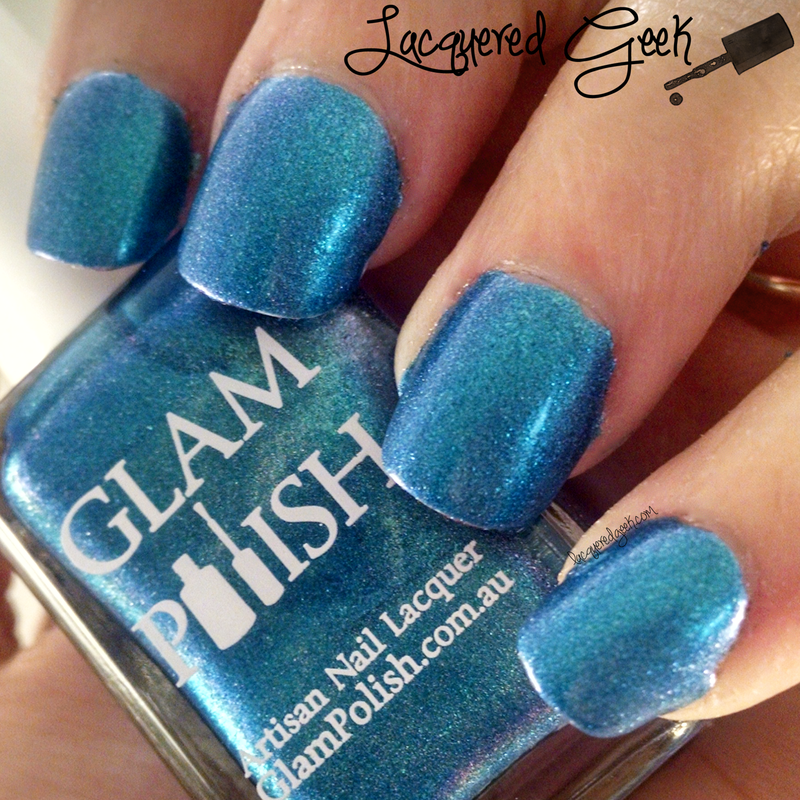 Have you tried Glam Polish yet? If so, what's your favorite? !